The hallmark of a truly great filmmaker is the ability to transmute their talents to fit any circumstance — fiction and documentary, independent- and studio-scaled budgets, any tone or genre. 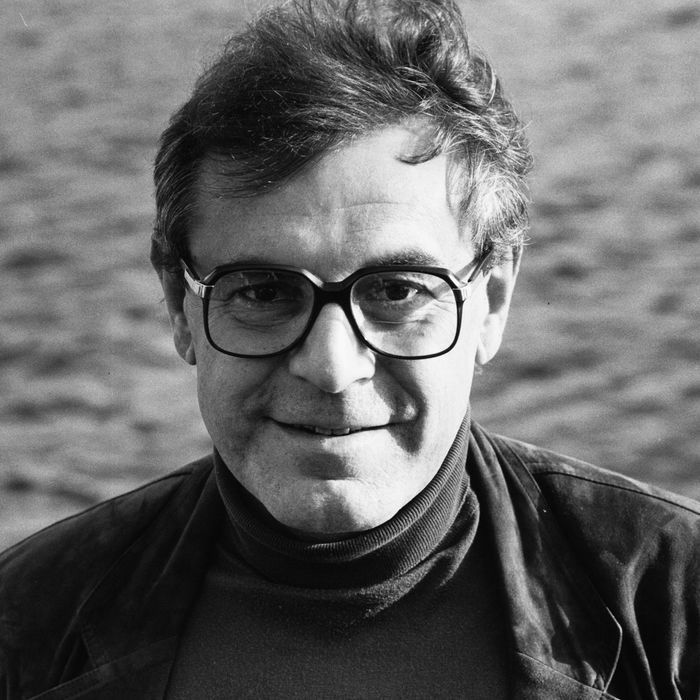 Miloš Forman was one of those rare virtuosos who could seemingly do it all. The late Czech-American director was allergic to creative stagnation of any sort, constantly posing new challenges to himself in a filmography marked by restlessness and continuous reinvention. His scathing, political early work in then-Czechoslovakia was instrumental in establishing the national cinema’s New Wave and made Forman a favorite among the international festival circuit, as well as the Oscars’ foreign-language category voters. Following a short-form documentary about Olympic decathlons, he came to the United States and promptly made a splash with his Zeitgeist-capturing, award-festooned adaptation of One Flew Over the Cuckoo’s Nest. It was at that point, around the flip from the ’70s to the ’80s, when Martin Scorsese made New York, New York and Francis Ford Coppola delivered One From the Heart, that Forman also used a foray into the musical as a route out of his comfort zone. By 1979, America had enough distance from 1968 that the populace was ready to feel nostalgic about the hazy golden days of flower children and free love. The time was ripe for a revisitation of the stage smash Hair, and Forman, two years into his naturalized U.S. citizenship and enamored of his new home’s colorful history, was just the man for the job. He’d follow that warmly received musical with a pair of films that aren’t exactly organized around the spectacle of performance, but still position music in a complicated key role; 1981’s Ragtime and his 1984 magnum opus Amadeus form a loose trilogy with Hair, in which the artist revels in the throes of art. 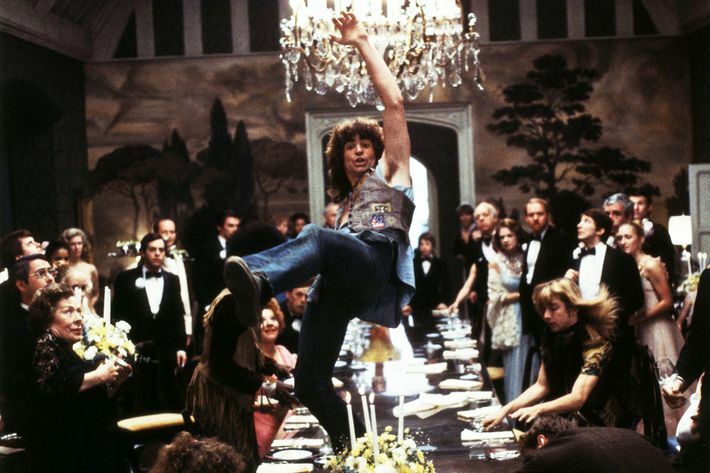 His Polish efforts may be more densely layered, his late-phase work with the biopic (The People vs. Larry Flynt, Man on the Moon, Goya’s Ghosts) may be more immediately accessible, but this mid-period affair with music captures Forman’s ecstatic passion with peerless rapture. Whether for a hippie commune facing down the specter of Vietnam, a pianist trying to make a decent living in turn-of-the-century New York, or a pair of psychotically driven composers, music is nourishment, Shakespeare’s food of love made real. While Forman’s films were often rife with political significance, his interviews suggest that he would approach each project on emotional, spiritual terms. He openly endorsed the Vietnam War even as he promoted the unambiguously antiwar Hair — life under the draconian Communist bloc had made him inclined to support any effort to combat the philosophy’s spread — his rationale being that he was primarily attracted to the exuberance and freedom of the counterculture. In musicals, the characters break into song when feelings grow too strong to be expressed through mere speech, and it’s not for nothing that Forman’s Hair contains a staggering 22 numbers from the Broadway original. Claude Bukowski and his peace-sign cohort experience every day intensely, a human extension of the social turbulence rocking ’60s America to its core on a weekly basis. 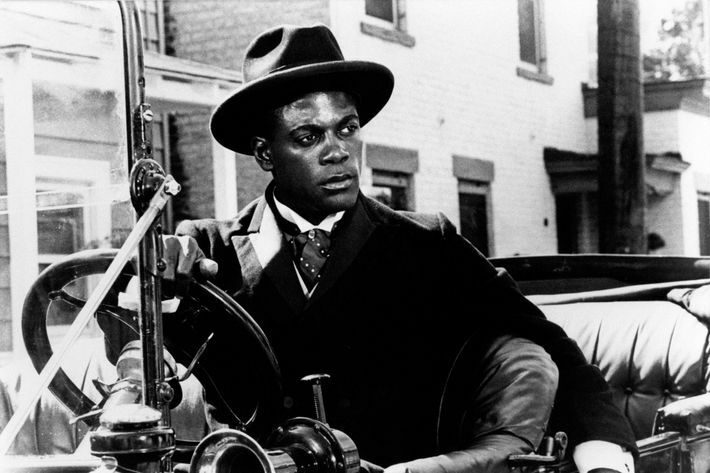 Coalhouse Walker Jr., the black piano player bearing the many indignities of Forman’s historical epic Ragtime, fits right in with the “Tribe” of Hair and the rest of the director’s long line of individualists. He provides this panoramically scaled, staggeringly ambitious flop (all the masters have at least one!) with a moral center, his tender bond with his music tarnished by a fall from grace. He plays a sacrificial lamb of sorts, ultimately dying for his country’s racial sins in a symbolic summary of the century from E.L. Doctorow’s source novel. For the violent corruption of his soul to make sense, the audience must first see the purity in him, and Forman makes that known through the cleansing power of song. When Howard E. Rollins sits down at that piano, he’s the best self that an intolerant world won’t let him be: serene, in command, gentle, strong. 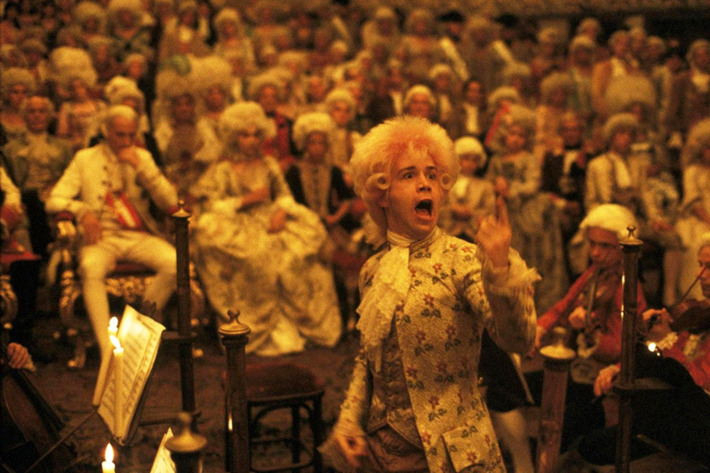 But of course, the crux of this conversation must be Amadeus, the apotheosis of Forman’s relationship to the joy (and despair) of music, and for many viewers, his signature film. In short, Amadeus is a movie about two men who love their art so much that they let it kill them. The story sounds like something out of the Bible, or perhaps a Russian tragedy: a great man consumed with his jealousy for a singularly brilliant one, fists shaken at a cruel or uncaring God, twin descents into madness. Every aspect of it is operatic, even the bits that don’t actually revolve around opera. Both Tom Hulce’s manic, uncouth Mozart and F. Murray Abraham’s sulking, vengeful Salieri seem to be vibrating on the same frequency; their highs are high, their lows are low, and their devotion to music is nothing short of religious. The creative spirit doesn’t just bring them closer to heaven, but to one another. The key sequence of Amadeus — indeed, the moment that encapsulates the euphoria and dashed hopes of Forman’s entire oeuvre — sends Salieri to hear the work of the much-touted Mozart for the first time. This is the scene that earned Abraham the Oscar and cemented Forman’s reputation as a genius even to the least cinema-literate of the American moviegoing mainstream. Salieri detests Mozart with every fiber of his being, looking down on the young prodigy’s coarse manner, and yet he cannot deny the self-evident beauty of Mozart’s music. He temporarily shrugs off his own pettiness to concede a “game recognize game” on a transcendental level. Salieri tears himself apart with the irreconcilable conflict that he hates Mozart for being the Lord’s favorite, and yet he can still bask in the celestial light of Mozart’s compositions. While Salieri was loath to admit it, Forman happily believed in art’s power to bypass divisions and strike a more primal register between fellow human beings. Each of the entries in this informal trilogy uses music as a channel through which a deeper wellspring of sympathy and feeling can be accessed, and one can safely presume this ethic extended to his use of the film medium. He made films with specificity, evoking eras from the 18th century through his recent past in an effort to lodge thoughtful commentary on the present, and still, those looking for a timeless quality in his films will always be able to find it. Hair and its psychedelic-lite camera tricks may be inextricably tied to a ’70s notion of the ’60s, Ragtime heralded a hateful modernity, and Amadeus re-creates the dizzying opulence of the royal court, but these characters’ shared bone-deep need to live freely and blissfully extends beyond any single time period. They’re all chasing a higher purpose, a more enlightened consciousness through the celestial might of art, and Forman himself was part of this same pursuit. He spent his whole career building to flashes of the divine, getting closer to an ambiguously defined almighty. Maybe he’s face to face with that force now.